I had a less than stellar experience reading Julie James’s last book but I was still very much willing to read her works because her earlier ones were really amazing. 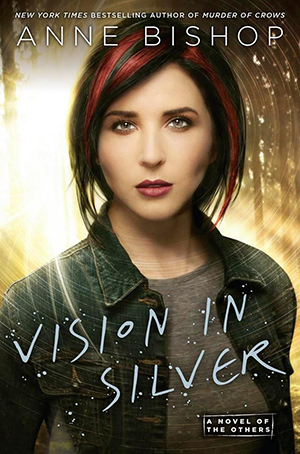 I went into this book with an open mind and an even more open heart because I want my Julie James mojo back. Leave it to Julie James to create this whole meet-cute or if you’d ask Vaughn, a not-so-meet-cute between Sidney and Vaughn. It has me laughing out loud and cringing at the same time. I don’t know how else to explain it. But it was, amid all that, a very entertaining first meeting. These two see each other for the first time in a café, where after seeing Sidney’s failed blind date, Vaughn acts on his attraction, approached Sidney’s now table for one, and basically hit on her. I know, I’m cringing for Vaughn. But he’s turned down, in no vague terms and they go their separate ways. But wait… only to meet again for ‘the very first time’ during dinner later that day where Sidney’s sister and Vaughn’s brother announce that they’re getting married. Talk about surreal and slightly awkward at the same time. Since that day, fate or also known as the bride and the groom, kept putting them in each other’s path and each other’s presence. There’s annoyance in the beginning, with a little antagonism, and nemesis vibes going on between these two. But then there were moments of honesty and of just being, wherein they find out that beyond being able to tolerate each other’s presence, there’s actually that possibility that they even liked each other. The thing with love stories that start out with antagonism is that sort of spiral towards the inevitable fall into each other, which is always entertaining to read. And these two definitely deliver on this end. But what I think is the best and unique thing about this book is what comes after. These two are struggling about the kind of person they think they should be with, Sidney has her (long) checklist of all the characteristics of a guy who’s long-term relationship material and Vaughn, well Vaughn doesn’t think he wants to be in a long-term relationship, at least at the moment (but then Sidney happen). And it was during these struggles with themselves and with how they react to each other that I think their real love story blossomed. Because you can have all the checklists in the world for that perfect guy and he might check all those boxes except the one that’s the most important, whether or not you love him and can live without him. And you can continue to live your life not being with someone and vow that you’re not long-term material, yet when your heart has chosen and your love is ready, there’s only so much denial you can do before the inevitable happens. And I loved that about these two. I struggled a bit during the beginning of the book. It was entertaining to read but somehow I wasn’t connecting with Vaughn or Sidney at all. I didn’t feel as invested as I did with the characters from Julie James’s earlier books. This might be because I felt the situations were something I’ve already encountered before. Nothing new and therefore nothing exciting. I was thankful when the story was able to pick up my avid interest and while it wasn’t at the same level I was in her previous books, I was able to power through the book and eagerly await the resolution of their conflict. This was an enjoyable love story, with surprising depth and seriousness in the character struggles. It isn’t Julie James’s best but the story is relatively tight and Vaughn and Sidney were good together. Although not my favorite Julie James, this still won’t be my last. After graduating from law school, New York Times and USA Todaybestselling author Julie James clerked for the United States Court of Appeals. She then practiced law with one of the nation’s largest firms for several years until she began writing screenplays. After Hollywood producers optioned two of her scripts, she decided to leave the practice of law to write full-time. Julie’s books have been listed on the American Library Association’s Reading List for Top Genre Novels, Booklist‘s Top 10 Romances of the Year, and have been featured as one of Cosmopolitan magazine’s Red Hot Reads. 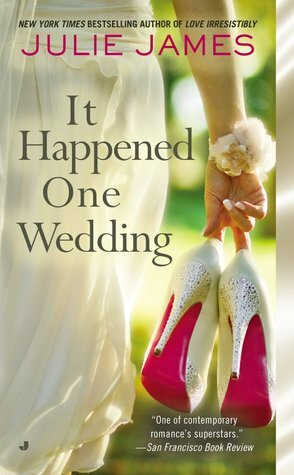 Her books have been translated into sixteen languages and Julie’s seventh novel, It Happened One Wedding, is now available. 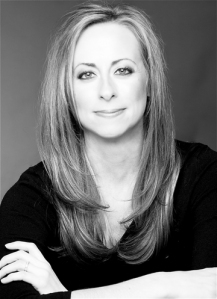 Julie James lives with her husband and two children in Chicago, where she is currently working on her next book. 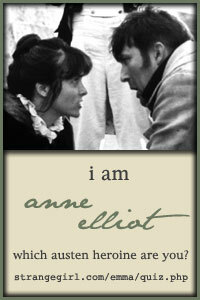 Have you read her books before? What are your favorites? Great review, girl! I felt very much the same way – struggled with the beginning and couldn’t connect to either character. Thankfully the story picks up, but it’s still not a favorite JJ book of mine. Hopefully Ford’s book will be amazing!